For small garden owners, rabbit menace can be quite a thing to weigh in while planning for their garden harvest. These pests can gorge on and destroy smaller and tender shrubs and bushes that are easy to chew. They can be a reason for the maximum heartache to any grower. Although rabbits are not as disastrous as raccoons or deer yet they can be quite frustrating when someone discovers an eaten lily bud or munched peas by them. There are some clear signs of rabbit activity in an area when a person may not be able to see one but may have discovered some nibbled or destroyed shrubs here and there. Some of the remarkable features of a rabbit activity include delicately eaten stems and leaves, mainly on new and young plants; chewed bark of trees near to the ground level, especially on fruit trees and saplings, and small rabbit droppings! Nature-friendly gardeners will always like to keep them at bay using methods involving rabbit repellents that can be helpful in discouraging them. This way, rabbits will not be able to munch on items that they are mostly like to eat. Another thing regarding them is that they usually like to feed in an area where they can get easy cover for securing themselves. Therefore, garden edges are particularly vulnerable to their attack rather than the central portion. Therefore, it is imperative that easy hiding places, piles of brush or stone and tall grassy areas are removed from the sides of a garden that can help in discouraging them. If there is an option made available to them, they will most likely prefer to chomp on tender plants and newer shrubs. These are the plants that need to be secured more from their attack. Plants like clover and alfalfa can be their gorgeous menu items and hence these must have certain rabbit repellents that are available. For keeping rabbits at bay, there are primarily three natural options in the garden that can be employed to help secure an area from their attack - repellents, targeted coverage and fencing. Out of these, repellents can be a wonderful way of discouraging them. Within repellents also, there can be many types as has been discussed in the following sections. We shall also look into the targeted coverage and fencing options in detail as well. But before detailing the different methods of restraining them, it is important to understand their activity pattern that can be helpful in planning the layout of the different restraining methods. It is important to understand when and where rabbits tend to cause the maximum damage within an area. Generally, their habits change with seasons and therefore many types of repellent solutions may have to be employed during a year. Some of their activities during the summer and spring season involves scrounging a flower garden, eating alfalfa, grass and clover, damaging soft crops like lettuce, peas, cabbage and beans and plucking/eating young seedlings. Similarly, during the winter or fall, their activities may include chomping young tree barks, eating shrubs and woody barks, occupying Burroughs of animals and nibbling twigs. To stop them from these activities, use of repellents can be a good idea. If there are enough food choices available, a particular crop can be secured against rabbit attack by spraying it with repellents. But if rabbits are particularly fond of the crop, even repellents may not be enough to deter them. However, repellent sprays can be helpful in breaking their feeding cycle and give sufficient time to young plants for growth. Repellents also need to be applied every after few days so that their effect stays intact. Especially post heavy rains, they may have to be applied generously as their efficacy may decrease due to the downpour. After finding out the behavioral patterns of rabbits in an area, a correct rabbit repellent can be used that can help in deterring them. While selecting a repellent, it is also important to keep in mind not only the problem areas that need attention but also all the future preventive measures that may have to be taken for a fully protected landscape. This is due to the fact that rabbits tend to adapt quickly to newer areas and therefore once they have been driven away from an area, they can start regrouping in any other nearby area. Therefore, we try to understand the different types of repellents available. Liquid Spray Repellent - Liquid repellents can be suitable for application on grasses, ground cover, bulbs, trees, clover, flower/buds, alfalfa, seedlings, shrubs and ivy. They can be very helpful in protecting plant surfaces and flowers from any direct damage. The liquid repellent can be sprayed directly onto the plant, 2-3 feet from the ground level. This is the area that rabbits mostly focus on and therefore the main concentration of repellents should be in this area itself. Granular Repellents - Granular rabbit repellents can be an ideal solution for people living in slightly colder climates. It is due to the fact that in such a climate, the liquid may not be able to hold on to the plants, shrubs or flowers. It helps to create a secure barrier around the plants and the complete area. These can also be used in addition to liquid repellents and can be used for the protection of vegetable gardens, ground cover, structures, flower beds, pathways, burrows and dens. Electronic Repellents - Electronic repellents can be a wonderful way of scaring away rabbits from many places like yards, vegetable patches, parks, nurseries, brush cover, wood piles, gardens, flower beds, pool areas, structures, shrubs and trees. It includes options like an eco-friendly burst of water on rabbits to keep them away. Although this option can be a bit expensive compared to the earlier two, the cost-effectiveness of it can be far more compared to them. Also, these may not have to be reapplied and re-bought in each season thereby making it much more convenient. Users who have used this option have found out that tucking an electronic repellent within the flower beds can be a superb way of thwarting the bid of rabbits. This type of rabbit deterrent option can be helpful when a person is growing something exotic that cannot be lost in any case like a new plant developing from a seed or for a definite crop or plant that is very attractive for rabbits like beans and peas. A particular area can be easily protected from rabbits using this approach. A garden fabric can be used to wrap or cover the plants and Super Hoops can be used to help the fabric stay in place. This type of arrangement can be made to particularly secure an area having freshly planted broccoli or a bed of salad green. It is important to ensure though that the fabric stays in place at all the four sides so that there is no chance of it getting dismantled. A chicken wire or 3/4 inches poultry mesh fencing can also be used to encircle vulnerable plants so that a protective tunnel gets created in a complete row. This is another type of homemade rabbit repellent through which rabbits can be kept away from an area. A two inches’ poultry mesh fence can be an ideal way to keep them away. However, it should be ensured that the diameter of the mesh is about an inch or even smaller and it is amply secured with rigid stakes. To reduce any chance of it being dismantled, the fence needs to be extended deep into the soil. Therefore, for building a 2 inches’ fence, a 3 inches fencing may be needed. If there are jackrabbits or the prevalent cottontails are athletic and may jump to greater heights than normal, then taller fencing may be required to keep them away. Therefore, a fence should have a good height and as an added deterrence against jumping, bending the top of the fence at 5-6 inches out from the garden can be a good idea. Self-supporting pop-up nets can also be a good way of protecting susceptible plants. This type of nets may be available in many sizes and can be anchored right within the garden. It can also be used along with 3 inches raised bed like the popular Grow Bed. If in case a taller enclosure is needed, one can always consider employing the Crop Cage. Also, there are many types of available fencing that can be cut as per size and installed as needed. These can also be removed at the end of the season and re-used next year. Another option to consider can be an Electric fencing, especially if there are any additional woodchuck issues. Maintenance-wise, these can be a bit fussy and even slightly costlier but then, it can offer a good value for the investment made into them. Repellents have to be Applied as per Direction - It is very important that repellents are correctly administered to the target areas so that plants longevity and the effectiveness of the repellents stays intact. For achieving the best result, it is paramount to follow the label instructions that are mentioned on the package. Additionally, some other steps that must also be adhered to are discussed here. A) Repellent re-application must be done as mentioned in the instruction. After a heavy rainfall, they may have to be reapplied for ensuring their continued repellency. B) Rabbit repellent must be used uniformly over a particular area, keeping in mind the complete space that the repellent can cater to. For example, if a bottle of repellent is enough to cover an area of 10 acres and if one may need it for only 2 acres, then 1/5th of the bottle should be used for the purpose. C) Spray the flowers, leaves, bulbs and stems thoroughly so that they are completely soaked in it and the repellent starts dripping out from these parts. D) If an electronic repellent is being used, the sensor should be placed in such a way that it can capture the rabbit's activities. The sensitivity guidelines should be followed perfectly so that the electronic medium is able to fetch results in the most desired way. Any Type of Attractant Should Be Done Away With - Any type of protective grass, shrub or greenery cover can act as a camouflage for rabbits. They can be particularly helped by them to live and feed off this vegetation. Since they also reproduce at a very fast rate, they can easily raise their numbers within a small time. Hence, any type of protective vegetation should be done away with as far as possible. Some steps that can be useful in achieving this include mowing down unnecessary grass, pulling out weeds, filling or covering any unwanted burrows, raking leaves, peeling off excess vegetation and clearing any woodpile, brush or debris. Some Homemade Rabbit Repellents - It is very important to keep bunny problems in check, whether produce is made for self-pleasure or for business. People who wonder 'how to make rabbit repellent?' can be assured to find out the many ways of making rabbit repellents online. Homemade rabbit repellent can be made easily so that bunnies can be stopped from entering an area. It is also a safest, cheapest and most ethical way of ensuring their retreat. It is due to the reason that no harmful chemicals are used in making them and therefore there is no risk of them being poisoned or getting ill and at the same time, they can be thwarted easily. The Principle of working - Bunnies have a very strong sense of taste and smell. They generally get attracted to mild and soft smells. Being herbivorous, they do not get attracted to smells of meat, blood, egg or such other things. Also, smells of vegetable items like chili, pepper and garlic can also turn them off from an area. The added advantage of using a smell and taste based repellent is that it can also be further helpful to repel other animals like cats, deer and rats too. - It is easiest possible method that involves placing strong smelling items within the 'problem area'. Description of 'problem area' includes the place that is most often frequented by rabbits. It can also be the entrance through which it enters or leaves the area or the affected plant or herb that is most loved by it. Placing chili seeds, garlic cloves or putting broken eggs can be a superb way of deterring them. Growing strong smelling plants like mint, lavender and many other varieties can also be considered. However, if this does not work out, the following method may be useful. - It is also much like the earlier method but is more directed. A plant can be covered with egg, chili powder or any other strong tasting product. If the taste of a plant is not worth it, bunnies may not like to gorge on it. A spray mixture with raw ingredients can be a good option for this process. Tabasco sauce, washing liquid, crushed garlic and water. Whole or crushed black pepper, raw, egg, sliced chili and water. Milk, raw eggs, chili powder and water. Cheap vodka, hard mint melting sweets, washing detergent and 3/4th water. Vinegar, mint, lavender and water. Chili powder, fizzy drink for breaking the chili, Tabasco sauce, sliced chili and water. Once the spray mixture has been made, use it generously over the plants and herbs, the soil near to it, 'problem areas', access points of rabbits and any rabbit dropping that may be there. The idea behind it is to ensure that maximum smell of the mixture is prevalent in the area that can discourage them from visiting the place. Therefore, use the spray mixture as generously as possible. It is very essential to ensure that rabbits are not harmed physically while deterring them and therefore a lot of methods are there to help them keep away from an area. There is a very good Do-It-Yourself (DIY) homemade rabbit repellent that can be made very easily. It utilizes red pepper and garlic for deterring rabbits and also ensures that there is no harm to the plants. It can be a very good way of keeping the bunnies away. Only a couple of household items may be needed for making this repellent. An empty milk jug, a dish soap, peppers and garlic are enough for making it. The complete recipe for the same is as discussed below. 1) Add the complete dish soap, crushed red peppers and garlic cloves into the milk jug, completely filled with water. 2) Shake it thoroughly and let it rest in the sun for a day or two so that the mixture gets concentrated with the ingredients taste and is fully flavored with them. 3) Before using it, ensure to shake it well and then apply it on the plants or shrubs that are targeted by rabbits. The rabbit repellent may have to be sprayed upon the plants once every 4-5 days for a couple of weeks before their result starts pouring in. In case of a rainfall, the spraying intensity may also have to be increased so that there is enough effectiveness of the mixture to act as a deterrent. We all know how rabbits can devour a garden within no time. But it is also important to mention here that they can be easily tackled without harming them physically. There are some available natural options in the garden that we look here in detail. 1) Spread hair clippings - Rabbits are shy creatures and they generally dislike any human presence near them. A sprinkling of hair clippings emit a smell and can fool them into believing that humans are nearby and that can be a turn-off for the bunnies. These hair clippings can also be used by the soil. However, if human hair clipping is not available, even pet hair can do the trick. 2) Some repelling flowers - Flowers like marigold and alyssum are disliked by rabbits due to their smell and can act as a deterrent for them. 3) Scatter snakes - This one is only meant for artificial ones, of course! One can scatter some rubber snakes in the garden as rabbits generally like to stay away from snakes. 4) A little noise can be helpful - One can always try to keep some cans arranged on a string or get a wind chime. This way, when the wind blows, these items will make noise. Rabbits are very sensitive to noises and that can keep them away. 5) Keep space clear - As has already been spoken, keep the 'problem area' free of any vegetation or any unnecessary thing that can help rabbits in concealing themselves easily. A 'rabbit-susceptible' area should be kept open and clear so that there is no hiding space for them. Rabbit repellents are available in plenty and a person has to only decide which one to employ for the purpose. 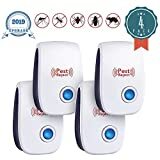 All these repellents can be helpful for a person to further ensure that apart from rabbits, many other animals and pests can also be kept away from an area. However, rabbit repellents are also commercially available and a person has a choice of whether to make it at home or buy a readymade option. Either way, the end result is to deter rabbits from damaging an area.